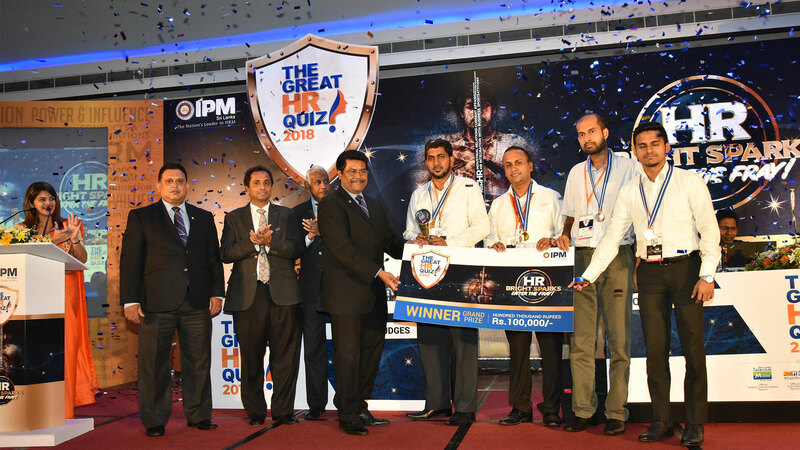 IPM Sri Lanka’s The Great HR Quiz 2018, the only quiz dedicated to the human resource management fraternity to uplift the knowledge and capacity of human resource professionals, concluded on a high note with the team from Dialog Axiata winning the Overall IPM Great HR Quiz 2018 Champions Trophy, the team from Seylan Bank claiming the 1st Runner-up Trophy and the team from Polytex Garments winning the 2nd Runner-up Trophy. 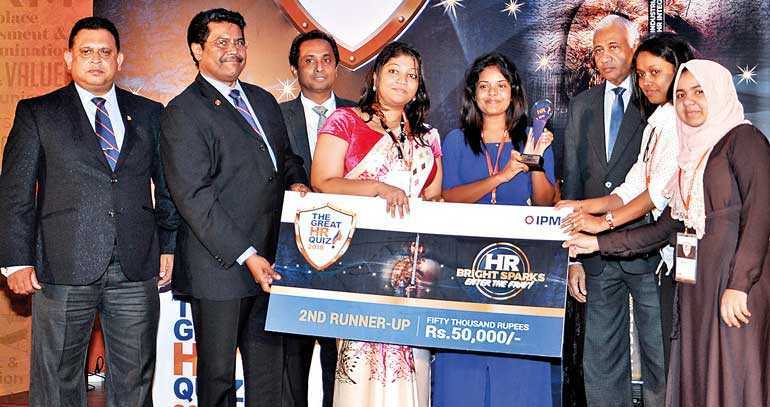 The annual Great HR Quiz which was held for the fifth consecutive year is a much looked forward to event by the HR fraternity which is organised by IPM Sri Lanka – the nation’s leader in human resource management in its quest to building knowledge and capacity in the field of Human Resource Management and in developing globally competitive human resource professionals. 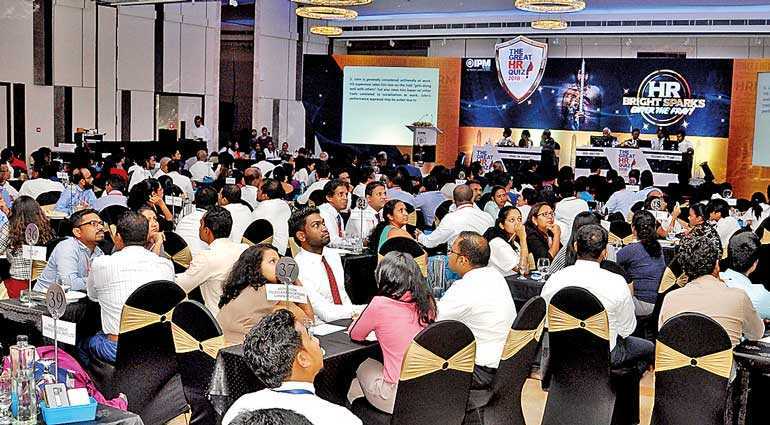 The Great HR Quiz 2018 was held on Thursday 1 November at the Galadari Hotel in Colombo. “The annual Great HR Quiz which is held for the fifth consecutive year is a much looked forward to event by the HR fraternity. 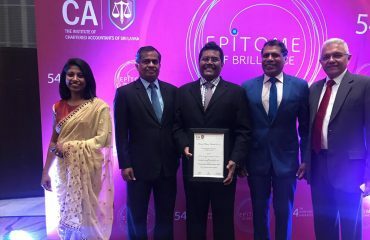 As a service organisation and the premier professional body for HR in Sri Lanka, we have an obligation to support the HR professionals in the industry,” said IPM Sri Lanka President Dhammika Fernando. “Amongst other objectives, the Great HR Quiz attempts to develop a broad platform for knowledge sharing amongst the key industry stakeholders. We are confident that our goals are coming closer in this regard,” he added. 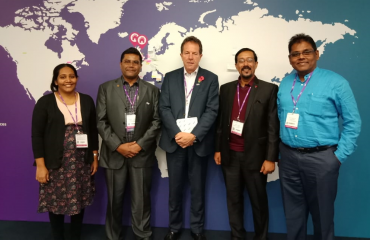 Experienced HR professional, Fellow Member and Past President of IPM Sri Lanka Chris Obeysekera officiated as the Quiz Master while the expert panel of judges comprised of IPM professional members, industry experts and academics. 60 teams representing the public and private sector companies participated at this year’s Great HR Quiz which was organised as a ‘Live Table’ quiz with a unique digital response device placed on the table top for each team to respond to the quiz master’s questions. The knowledge areas that were tested in this quiz was broadly in the areas of human resource management, organisational behaviour, contemporary HRM and current affairs and sports. The teams vied for the overall IPM Great HR Quiz Champions Trophy, Runner-up Trophy, Sector Championship Trophies and many more. In addition to the trophies, the Champions received prize money of Rs. 100,000, 1st Runner up Rs. 75,000 and the 2nd Runner-up Rs. 50,000 respectively. 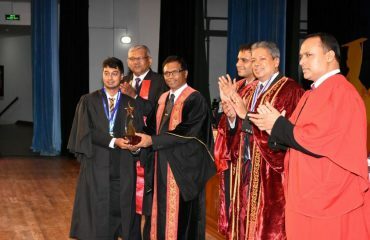 The Sector winners too were awarded trophies. As per tradition, The Great HR Quiz 2018 included an array of exciting activities including presentation of awards to the winners. The Great HR Quiz 2018 was followed by an evening of cocktails, networking and camaraderie amongst the HR fraternity. IPM was founded in 1959 and was subsequently incorporated by an Act of Parliament in 1976. IPM is affiliated to the Asia Pacific Foundation of Human Resources Management and also to the World Federation of People Management Association. 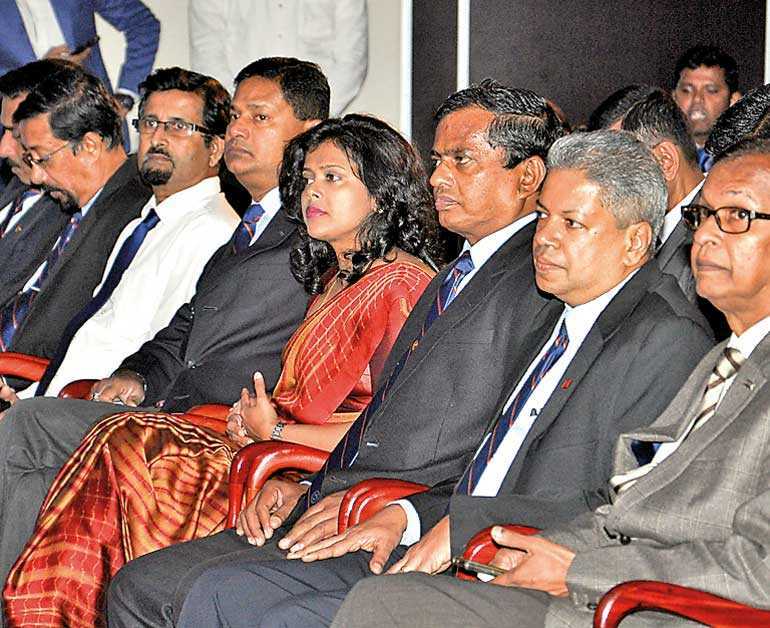 IPM, being a professional institute is also a constituent member of the Organization of Professional Associations (OPA) Sri Lanka. Currently IPM comprises of over 1,200 Professional Members who serve in both public and private organisations.